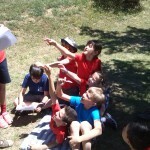 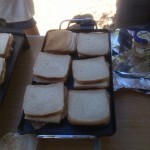 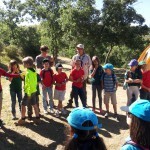 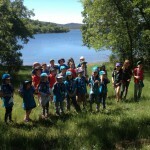 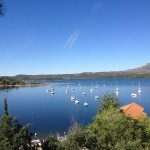 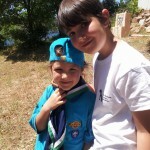 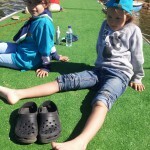 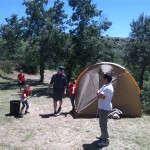 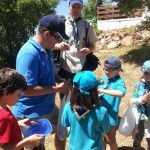 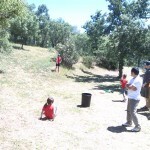 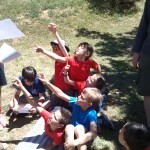 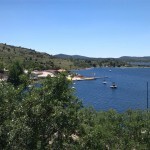 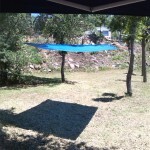 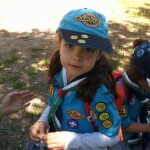 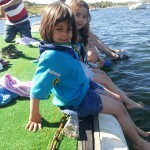 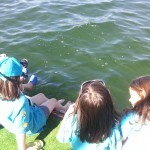 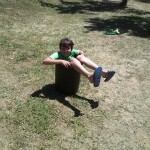 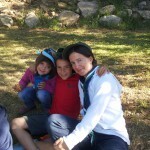 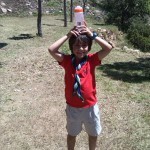 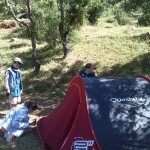 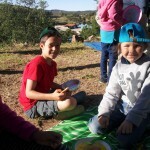 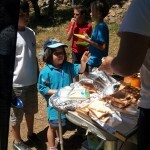 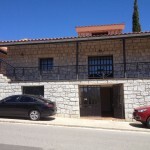 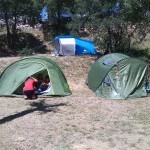 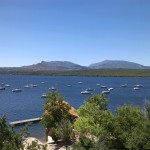 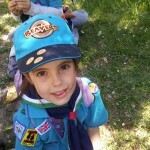 Our summer camp has taken place at Cervera de Buitrago Camping on the Atazar Lake. 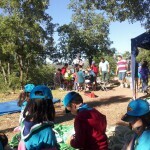 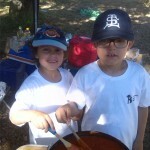 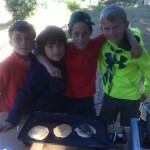 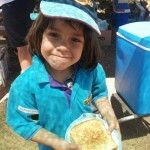 Cubs and Scouts arrived on Friday to set up the camp. 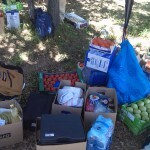 Kitchen was set up under an open tent and food was organised. 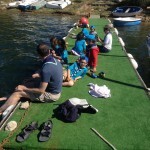 Cubs and Scouts had a time on water experience with kayaks. 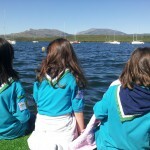 There was some difficulties due to the wind that made paddling difficult for some of the younger Scouts but in all they all had a memorable experience. 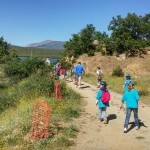 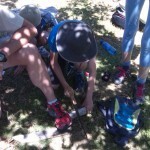 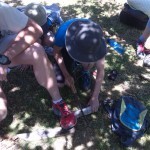 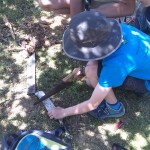 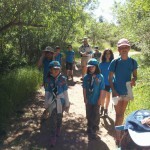 On saturday the entire Scout Group went on a hike. 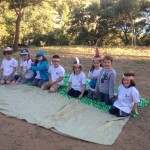 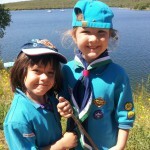 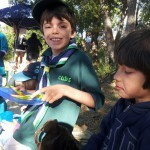 Cubs led while Scouts closed the group leaving the Beavers in the middle to protect them from falling back. 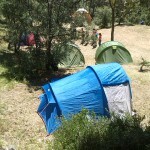 In the evening all sections performed a night show. 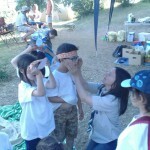 Beavers learnt the song “We are the red men”, with actions, and painted our faces with war paint. 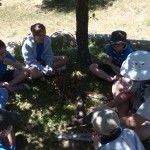 They also learnt the traditional worship song “Kumbaya”. 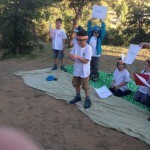 This was a truly Beaver Scouts own moment that the whole troop had at the camp, a time when we reflect and give thanks for everything that we have and all that we do. 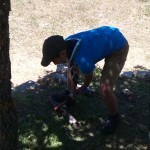 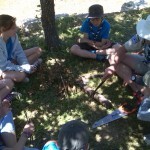 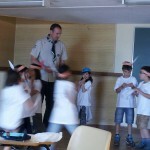 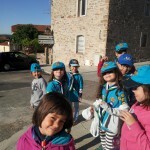 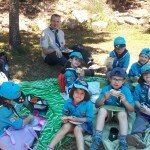 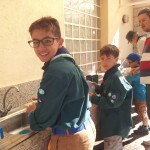 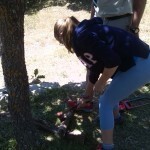 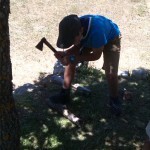 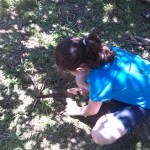 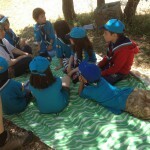 Beavers stayed at the local Albergue and came to the camp site to do the activities. 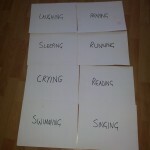 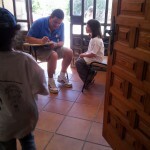 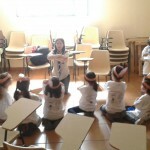 They also had a room where they were able to spend some time for indoor activities. 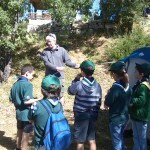 Among the activities that were done, they made a miniature campsite including a raft with Playmobil figures; we practised our shooting skills with Nerf guns with a tin can alley; we made paper airplanes; each Beaver completed two personal challenges: a) talking with an adult they don’t know very well about a topic they are interested in; b) trying all the food that was offered to them at the camp… this was particularly challenging for some of the Beavers who didn’t like raw carrots (our morning snack) or didn’t like pancakes (breakfast on Sunday morning). 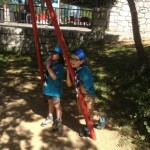 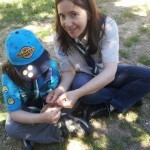 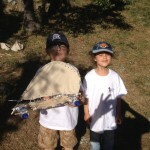 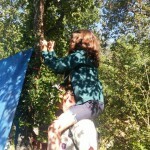 But they did it and both Leaders are satisfied that they completed this challenge badge correctly.